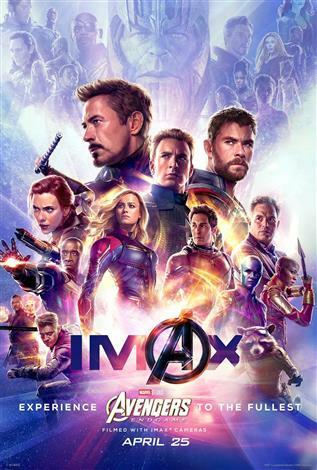 The IMAX release of Avengers: Endgame will be digitally re-mastered into the image and sound quality of An IMAX 3D Experience® with proprietary IMAX DMR® (Digital Re-mastering) technology. The crystal-clear images coupled with IMAX's customized theatre geometry and powerful digital audio create a unique environment that will make audiences feel as if they are in the movie. The grave course of events set in motion by Thanos that wiped out half the universe and fractured the Avengers ranks compels the remaining Avengers to take one final stand in Marvel Studios' grand conclusion to twenty-two films, AVENGERS: ENDGAME.